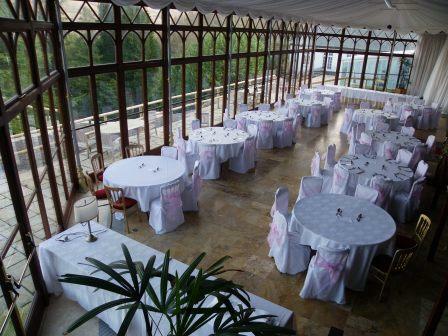 The Conservatory can seat 120 on round tables, or more banquet style. 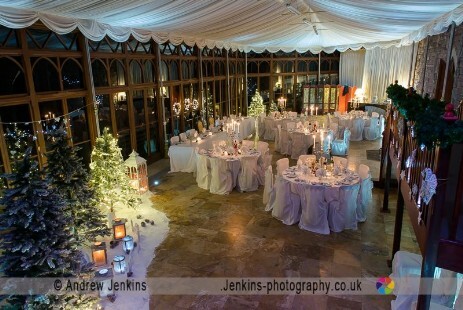 It can be usefully split up into a smaller dining area at one end and a lounge area the other end. 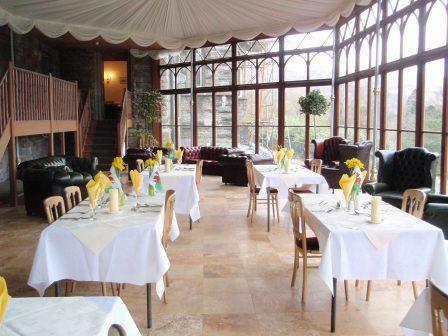 We have tall screens you may use to create separate 'breakway rooms' for training purposes. 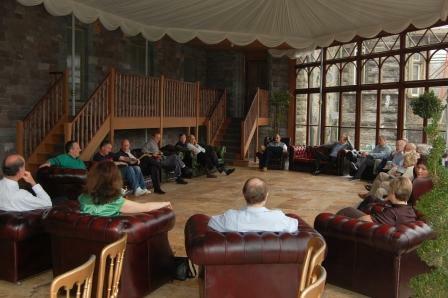 Arrange the room to suit your conference group. 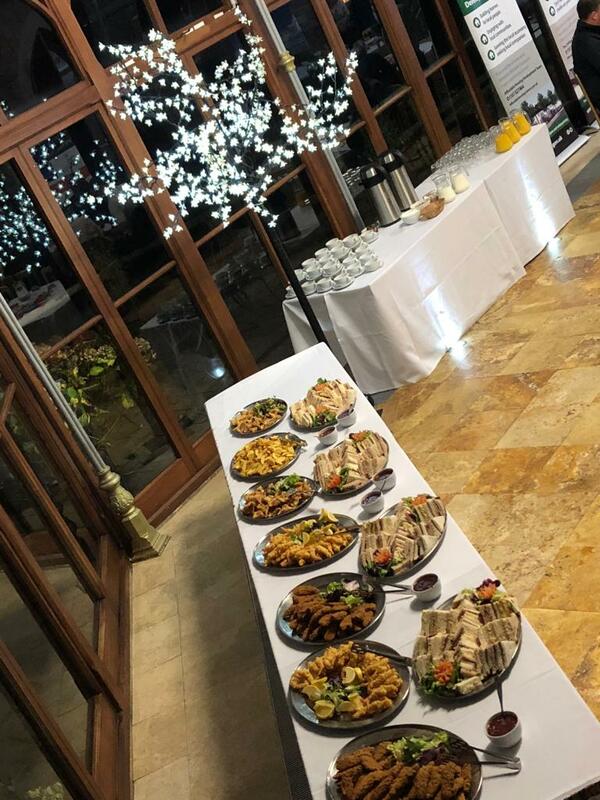 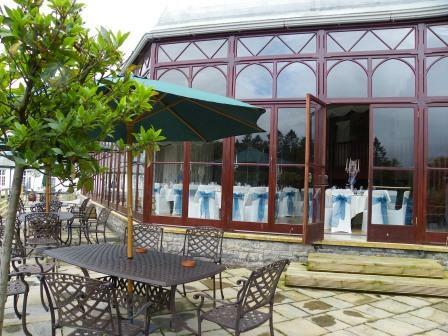 Craig y Nos Castle's Conservatory is a Wedding and Conference Venue near Swansea overlooking the Brecon Beacons National Park. 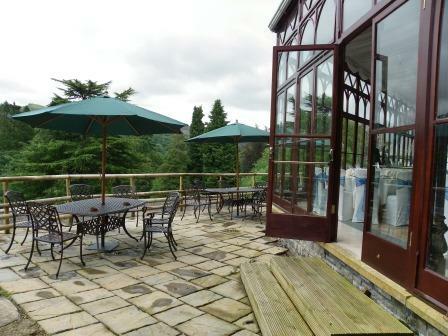 The fresh air on the terrace outside the Conservatory and the mountain scenery will lift your spirits in all weathers! 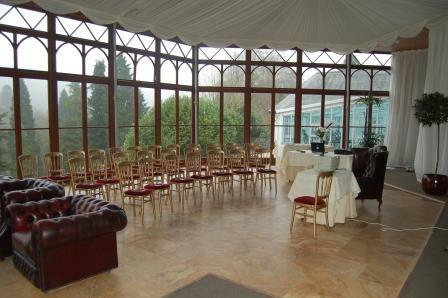 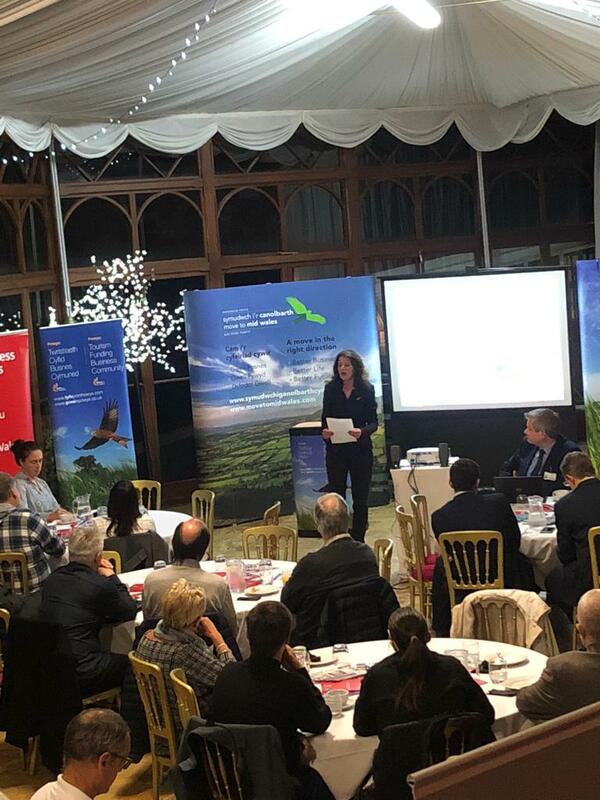 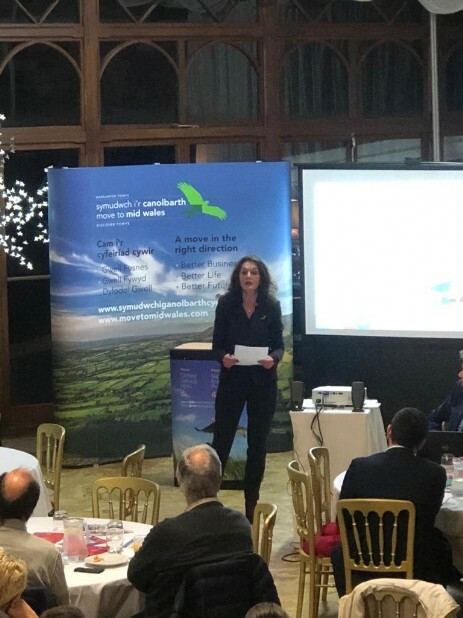 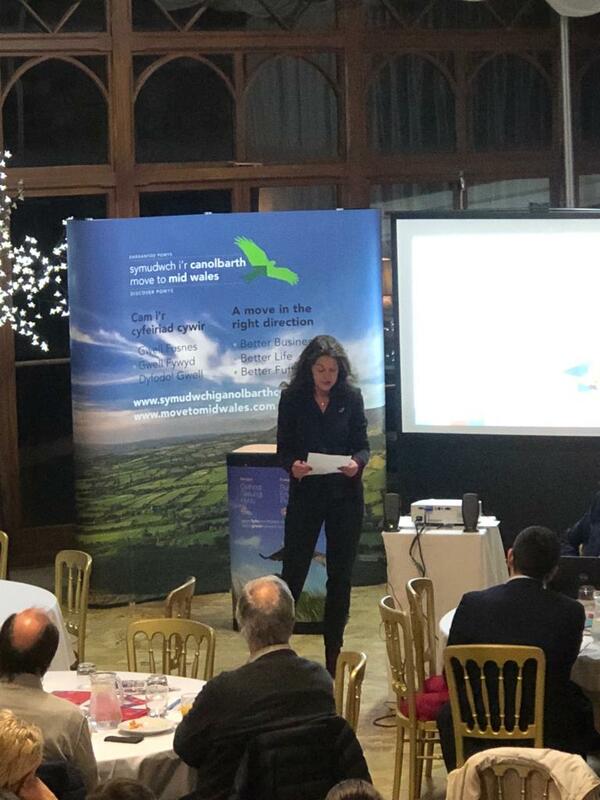 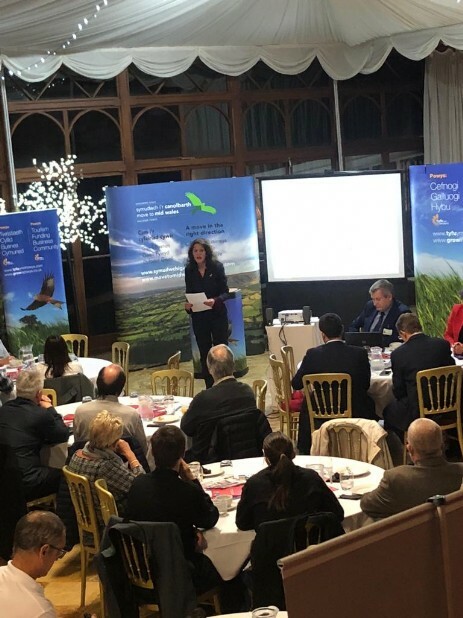 The Conservatory is a magnificent Conference Venue in South Wales with a view of mountain scenery all around. 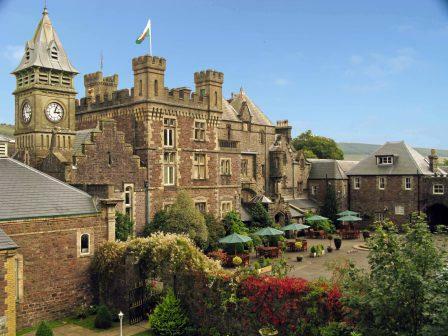 Let the towering Brecon Beacons to inspire your Conference Delegates to reach new heights! 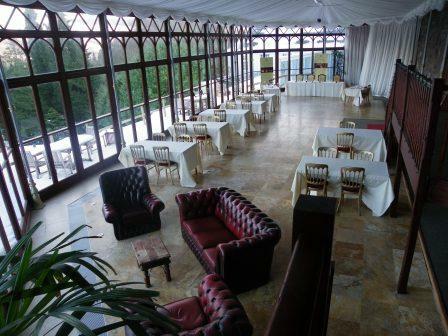 Outdoor activity groups may even opt to climb the mountain opposite (or take the steep footpath up to the Head of the Sleeping Giant mountain top in front of the Castle)! 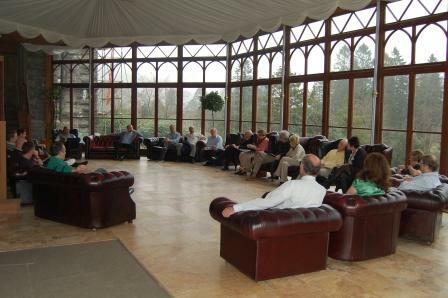 During rest periods and conference breaks, pop out on to the Conservatory terrace to take in the fresh mountain air and 'wake up' your conference delegates if they need a break. 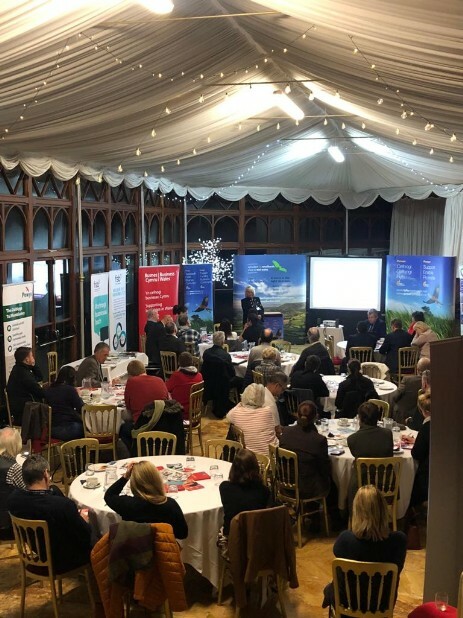 In one of our own small business conferences, we used one end for screening persentations on our projector and the other end as a conference area arranged as a large lounge. 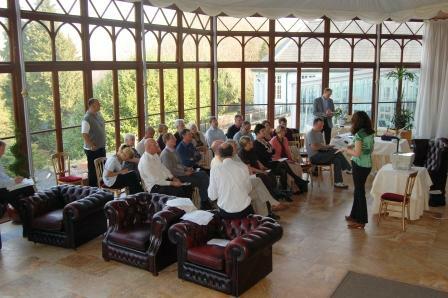 The Conservatory has been used as Conference Venue for small outdoor groups, training presentations and product launches. 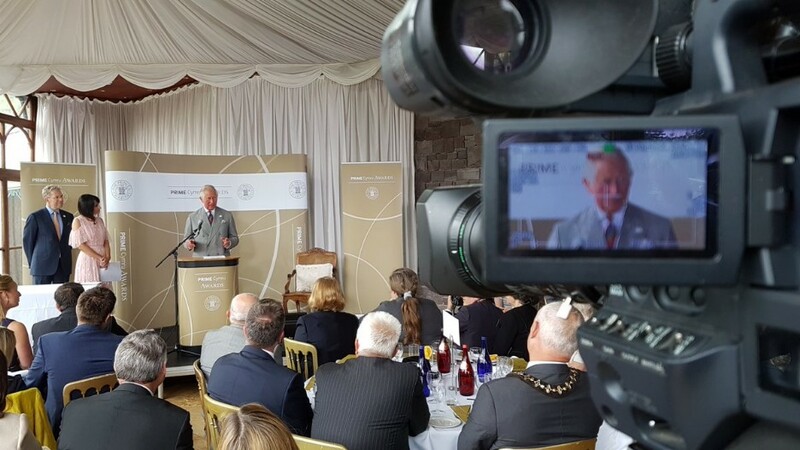 Also for charity events including one recently attended by Prince Charles. The Conservatory has its own loos and private bar so is a self-contained conference venue, meetings and training room for use by day or as a dining room in the evening. 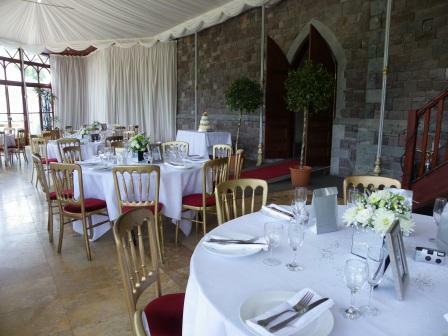 Two adjoining guest lounges can also be used as further Break-away rooms. 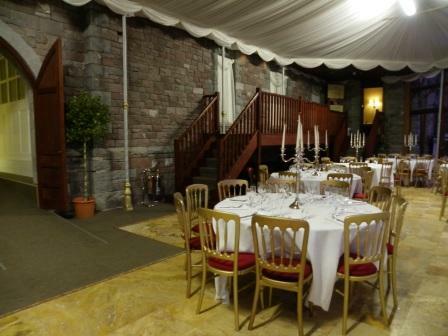 There are many rooms at Craig y Nos Castle which can be used as meeting rooms or individual conference venues.